Congratulations! 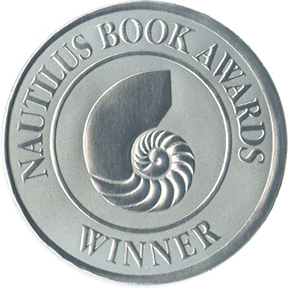 Mud Creek Medicine has won the 2014 Nautilus Silver Book Award in the "Heroic Journeys" category! From deep in the mountains of Appalachia to the steps of Capitol Hill, Mud Creek Medicine chronicles the life of an iconoclastic woman with a resolute spirit to help her people. Eula Hall, born into abject poverty in Greasy Creek, Kentucky, found herself — through sheer determination and will — at the center of a century-long struggle to lift up a part of America that is too often forgotten. Through countless interviews and meticulous research, Kiran Bhatraju, a native of Eastern Kentucky, deftly traces Eula's life from impoverished hired girl to community activist. Eula served as a foot soldier in the War on Poverty, President Lyndon B. Johnson's noble attempt to change the trajectory of a timeless people. That work sparked her determination to follow her own brand of tough-love, bootstrapped compassion for a lifetime. Eula's story shows how one woman could make a difference through a clear-eyed understanding of the nexus between politics, wealth, labor, and disease. Mud Creek Medicine takes the reader through Eula's experiences with moonshining, labor strikes, and fighting against severe domestic abuse, to eventually building and managing her clinic. After a mysterious arson in 1982, many people thought the clinic would close forever, but Eula fought back and rebuilt the clinic, which stands today in Floyd County, Kentucky. Powerful and profound, Mud Creek Medicine challenges perceptions of Appalachia, and shows that the personal stories of individuals in the mountains often do rise to the heights of drama and intrigue, and reach to the depths of the American experience. Eula Hall's life is no exception. She fought on, and at times risked her life, not for fame or accolades but, in her words, "for the people." Kiran Bhatraju is a writer and entrepreneur from the mountains of Eastern Kentucky. His father worked as a physician at the Mud Creek Clinic and Pikeville Medical Center for nearly two decades. He resides in Boston, Massachusetts, with his wife Sara. "Here is the deeply moving story of a true American hero who truly became the good she wanted to see in the world. Any reader who meets Eula Hall through Kiran Bhatraju's wonderful book will be the better for having read it." "The life of Eula Hall is a saga of trial and triumph. She didn't win every battle but she won more than she lost. The war is not over but Eula will be fighting for "her people" when Gabriel blows his horn. A must read for anyone interested in the struggles of the people of Appalachia." "Health care workers have always been the unsung heroes on our nation's frontlines. Drawing from a treasury of interviews, Kiran Bhatraju's insightful and heartfelt tribute provides long-overdue recognition of Eula Hall's enduring legacy and the extraordinary history of her Mud Creek Clinic in Eastern Kentucky. While deeply rooted in Appalachian resiliency, Hall's question years ago to Senator Ted Kennedy remains as important as ever: 'So, Senator, is it the government's responsibility to give health care to its people — or not?' "
"Appalachia has always been an anti-South within the South — a place where progressive politics were nourished by the excesses of unbridled capitalism. Kiran Bhatraju has written a gritty story about a true American heroine whose life serves as a powerful and timely reminder that basic health care is a fundamental right and responsibility of all citizens in a democracy." "Mud Creek Medicine is a much-needed biography of a woman who succeeded through her indomitable will and raw courage in providing basic health care for low-income rural families and coal miners. Kiran Bhatraju's lively writing style and unflinching truth telling is a compelling tribute to Eula Hall and the significant contributions she made to her home place, the Appalachian region and national understanding of the importance of community-based health care." 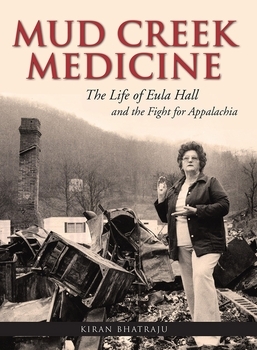 "Everyone who worked in health care in Eastern Kentucky in the 1960s knows Eula Hall, and Kiran Bhatraju's incredible portrait of her life and struggle is a gripping drama. She not only saved lives, but drew the blueprint for rural community health centers that subsequently came to Appalachia and America." "Eula Hall is a truly inspirational figure — not only for Kentuckians, but for all who strive to build strong communities and empower their residents. Bhatraju's lively telling of her story reminds us that the human spirit is as strong as the mountains." "With lively prose and authenticity, Bhatraju offers more than just gripping tale of one woman's journey — Mud Creek Medicine is nothing less than a full-throated critique of crony capitalism."